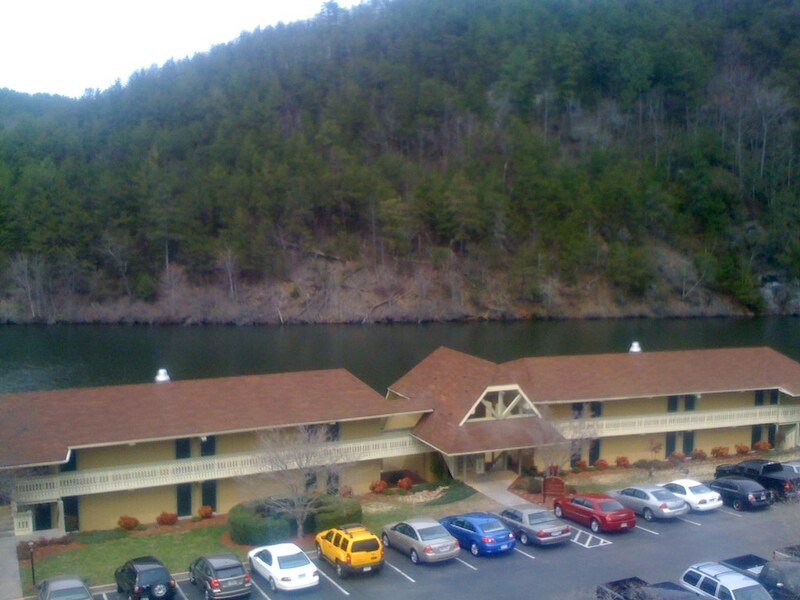 A view from the observation tower at Cohutta Springs Conference Center. 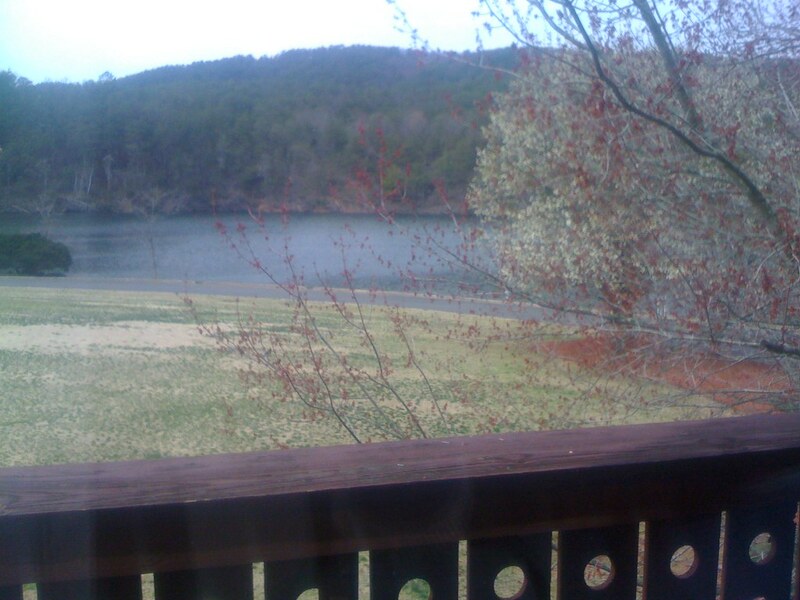 If you have to sit in a room for meetings for two days, at least having this view that you can turn around to see at any time is a big bonus. Several years ago, a plane carrying several leaders of the Georgia-Cumberland Conference of Seventh-day Adventists went down shortly after take-off. The Conference's communication director, Jaime Arnall, and the pilot, John Laswell, were good friends of mine. 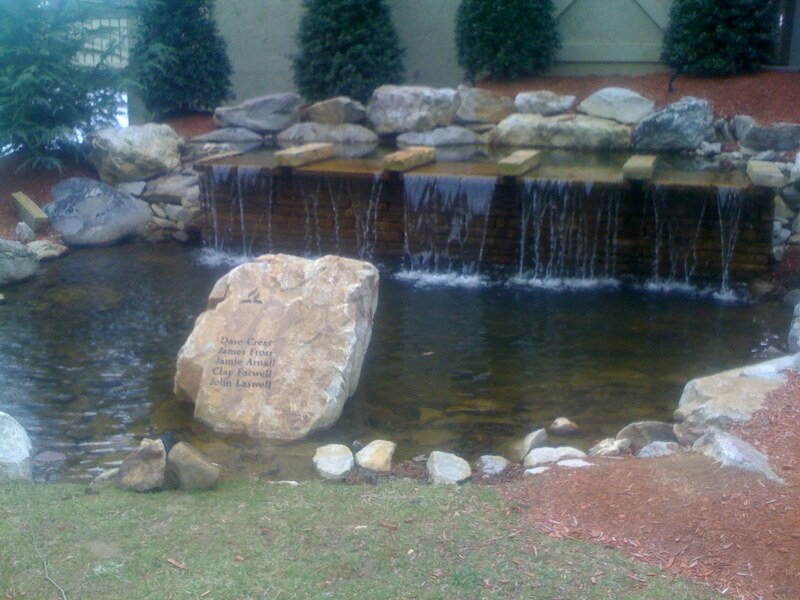 Recently, the Conference created this memorial at the Cohutta Springs Conference Center. 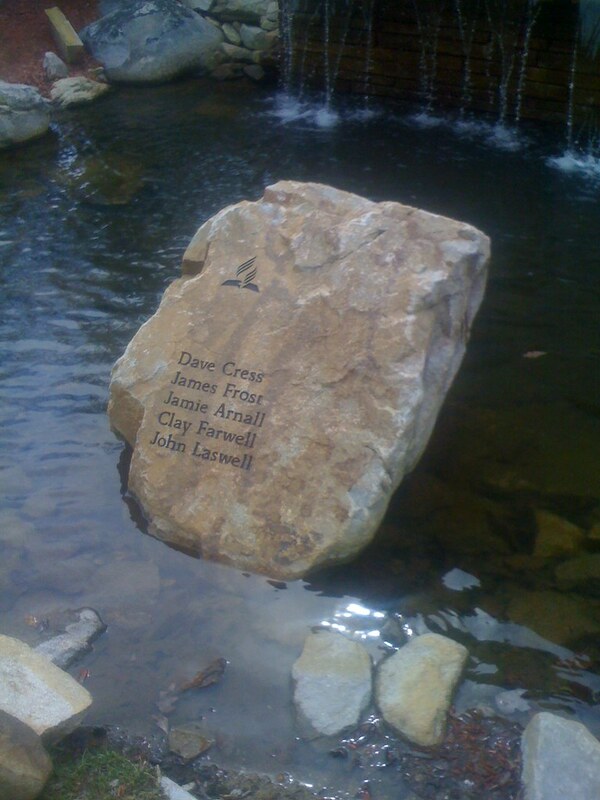 The stone bearing the names of the plane crash victims. See prior photo for more information.